The American Physical Therapy Association and the American Occupational Therapy Association recognize the therapeutic benefits of riding. The Professional Association of Therapeutic Horsemanship International, PATH Intl., says: "Because horseback riding rhythmically moves the rider's body in a manner similar to a human gait, riders with physical disabilities often show improvement in flexibility, balance and muscle strength. In addition to the therapeutic benefits, horseback riding also provides recreational opportunities for individuals with disabilities to enjoy the outdoors." Dr. Rallie McAllister says in her book, Riding for Life, "In a horse's presence, time has a way of standing still, giving you a much-needed respite from the frantic pace of life in the fast lane. When you are with a horse, you enter a world of open space and fresh air, which comes with an incredible sense of release and freedom. You're able to appreciate the beauty and the wonder of nature. Not only does a relationship with a horse enhance your emotional well-being, it also contributes to your physical health. While riding may relax your mind, it is a rigorous sport that challenges your body." Kendra J. Loring is a PATH Intl. 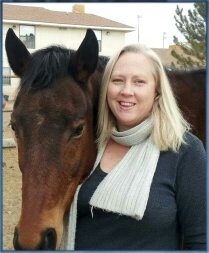 Certified Riding Instructor with over 20 years experience in the horse field. 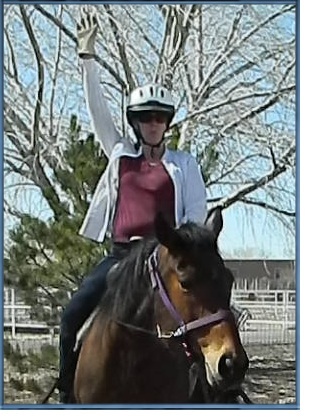 She has a BS in Equine Studies/Riding from Johnson and Wales University in Providence, RI. She has extensive family experience working with Veterans and Multiple Sclerosis. All text and images � 2015 EnchantedAdventuresNM.com. All rights reserved.